"From her pocket she pulled a tiny snowflake, the one she had stowed there after her first day as a Folder. She rubbed her thumb over its tiny, delicate cuts, grateful she hadn't yet washed this particular skirt. The snowflake still felt frosty, just like real snow. Snow he had made for her. All of it had been for her in one way or another, hadn't it?" When I was a child, like many other children, I desperately wanted magic to be real. From Tamora Pierce's Wild Magic series to the J.K. Rowling's Harry Potter, the idea that people could have secret powers inside themselves, just waiting to be harnessed, was, well, enchanting. I kept waiting for my own magic to manifest, because of course if magic were real I was going to be special enough to get it. I think most of us longed for a world where we had extraordinary powers at some point, and that helps explain the enduring popularity of these kinds of stories. 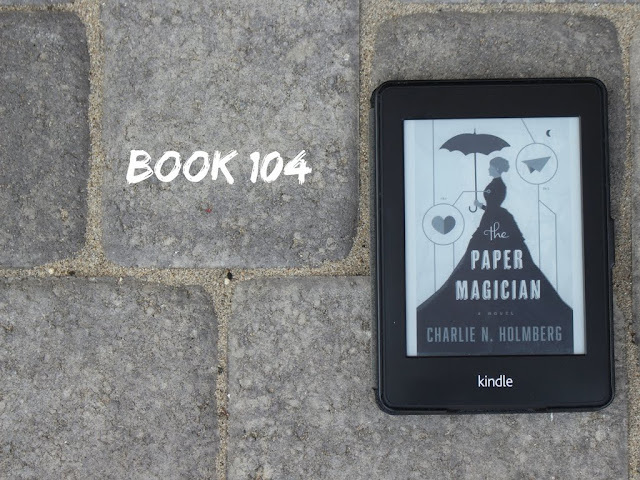 It's not really clear in Charlie Holmberg's The Paper Magician if one needs to have been born with magic. Ceony Twill doesn't seem to have manifested any particular powers from what we learn about her life before attending Tagis Praff School for the Magically Inclined. But she does want to learn magic, and maybe that's good enough. In the world Holmberg builds, students take the classes they want and experiment and may aspire to a particular kind of magic, but ultimately are bonded to one particular kind of substance through which they can perform it. Ceony longs to be bonded to metal, but instead, because of a lack of paper magicians, she's sent to Emery Thane, to become his apprentice. Ceony sulks a little but I was pleasantly surprised at how non-mopey she generally was...it seems like characters like this are usually 100% pro-pity parties. But even though she wishes it hadn't been so, she dedicates herself to learning the craft of paper magic. She's settling into a mostly comfortable groove when suddenly she and Emery, on who she is starting to develop a bit of a crush, are brutally attacked by an evil magician, and although she's been forbidden to, she (of course) adventures to save him. She has to make a journey, both literal and metaphorical, through his heart in order to do so. The journey through the heart is where most of the character development comes from. It's in a way a kind of blunt plot device...instead of having to learn things about her Emery's inner life organically, she's treated to highlight and lowlight reels of the most sensitive, defining moments of his life. But I think it works, mostly. It not only rounds out his character, but it makes her growing crush seem less like the oh-so-tiresome InstaLove trope. And the system of magic that Holmberg creates for her world is fresh and interesting. But at the end of the day, this isn't high literature. It's fluffy, and perfect for the way I read it: on an airplane. Or at a beach. It's pleasant and light and thinking about it too hard isn't recommended. There are sequels, but I'm not nearly invested enough to seek them out. If you need something to help pass the time, though, you could do a lot worse. 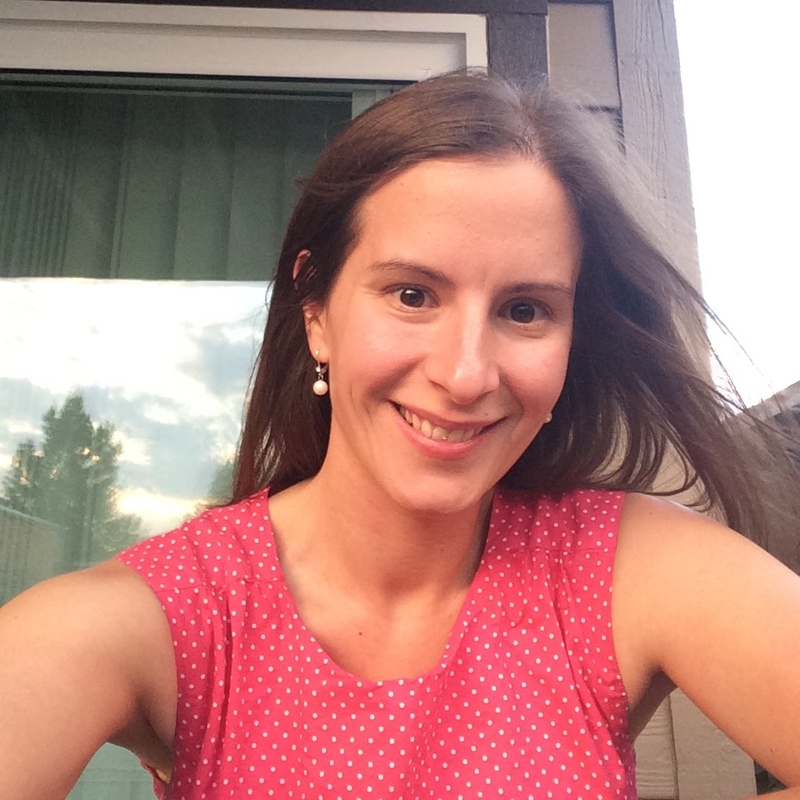 Tell me, blog friends...were you, too, convinced you had magic inside you as a child?